The first episode of this podcast was released 2 years ago on our Soundcloud page back when the company was still called Steam-Powered Tea, before I had completed the Prince’s Trust Enterprise programme and back when the idea of Teatre was beginning to form into a concrete product. The company has grown, developed and changed astronomically in these past two years, but it would be wrong of me to omitt our beginnings. I hope you enjoy the half an hour ramblings of a dreamy artistic director. The first proper episide of Full Tea Ahead in which Artistic Director Rupert Bathurst is joined by special guests Jessica Law and Huw Tindall-Jones to discuss the most recent Teatre ft Jessica Law and The Outlaws as well as finding a bit more about Miss Law, her interests, her new album(currently looking for funding on Kickstarter) and her involvment in the next Tea-Powered Theatre show The Tempest. 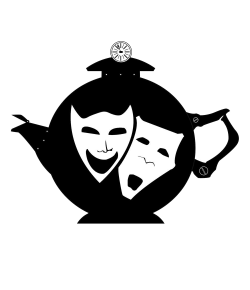 Tea-Powered Theatre’s Full Tea Ahead Podcast is produced by Rupert Bathurst.